Yuvraj Singh, the highest paid cricketer of the eighth edition of the Indian Premier League (IPL), has made his debut deal as a startup investor. 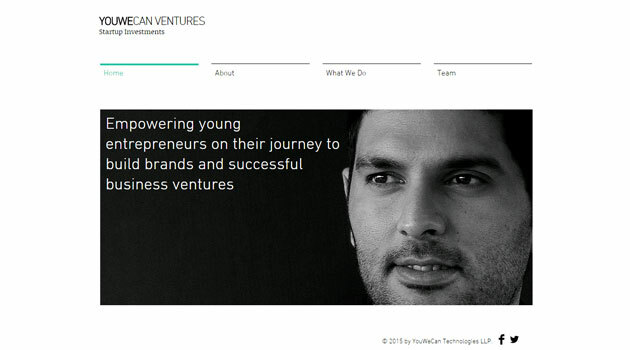 YouWeCan Ventures, a new early-stage venture fund floated by cricketer Yuvraj Singh, has made its debut investment by investing an undisclosed amount in a startup currently building its apps for a mobile marketplace for beauty and wellness services under the brand Vyomo , it said on Monday. The startup is launching an app that aggregates salons, spas, and stylists in July this year. The merchant-facing app for salons will provide management tools that simplify their business and increase traffic. Some of these include CRM, ERP, EPOS, performance management, and a booking management system. Founded by Abhinav Khare and Poonam Marwah, Vyomo would connect people with stylists and salon chains in towns. Users will be able to search based on their current location, discover salons and spas, compare prices, read customer reviews and also book services. “Signing-up with YouWeCan Ventures for securing our seed funding is an important milestone for the company and one which will allow us to scale and expand to meet the demands of our global users,” said Khare. He added that Vyomo aims to bring more than one million stylists on the platform by 2017. YouWeCan was started as a non-profit foundation a couple of years ago to support cancer survivors. Now he feels the Yuvi brand can play a larger role in empowering the growing band of young entrepreneurs in India. And so he set up the seed fund with his own money – about INR 500 million (US$8 million). It’s mostly a healthcare focused fund which is aiming to raise another US$48 million from other investors in three to five years.